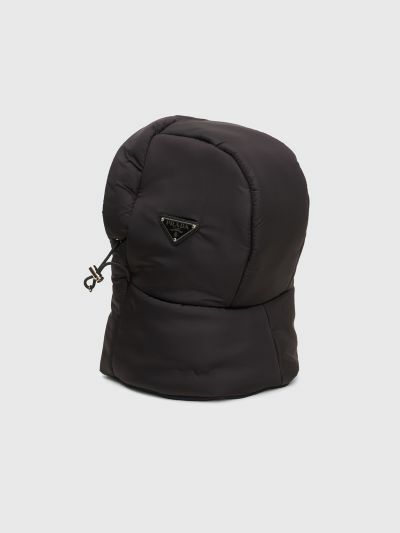 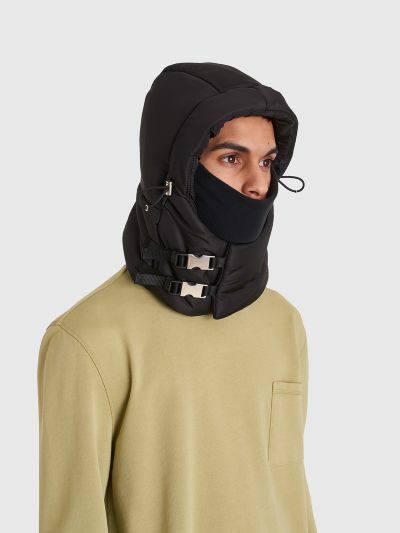 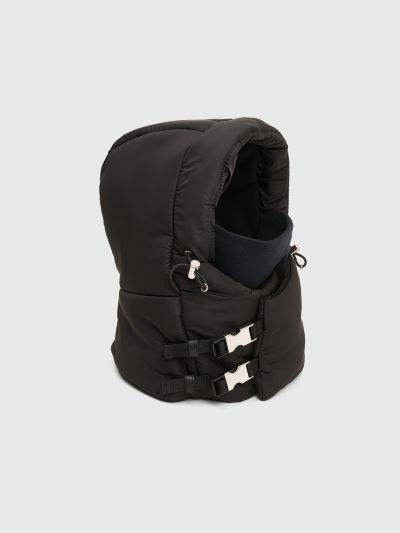 Hood from Prada made of nylon with tonal top stitching, adjustable drawstrings with cord stops, branded metal buckle closure on the front and high neck fleece insert. 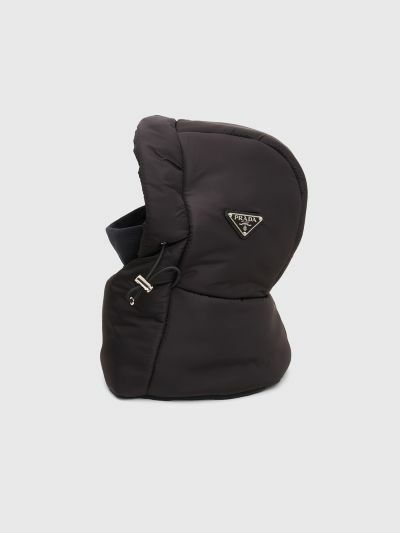 Triangle enamel metal logo on the side and fleece lining on the inside. 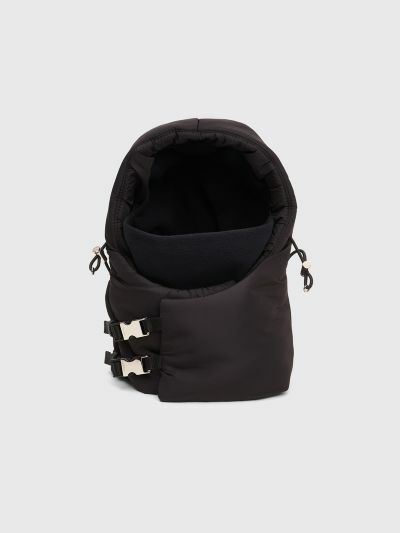 Black hood made in Italy from 100% polyester.